Readers may remember that back in 2015, I wrote a review about a $150 smartphone I picked up from Amazon called the Cubot H1. This unit was a cheap Chinese phone, running a low-end quad core SoC and paired with a low resolution screen, which was designed to excel in a single area: battery life. Having a smartphone that could last almost a week was great. Since then, I had never come across the brand at a show, until this year at IFA, where they had a small booth to try and expand into Europe with their new devices. There were two main devices on display: the Power, which is somewhat of a successor to the H1, and the King Kong 3. 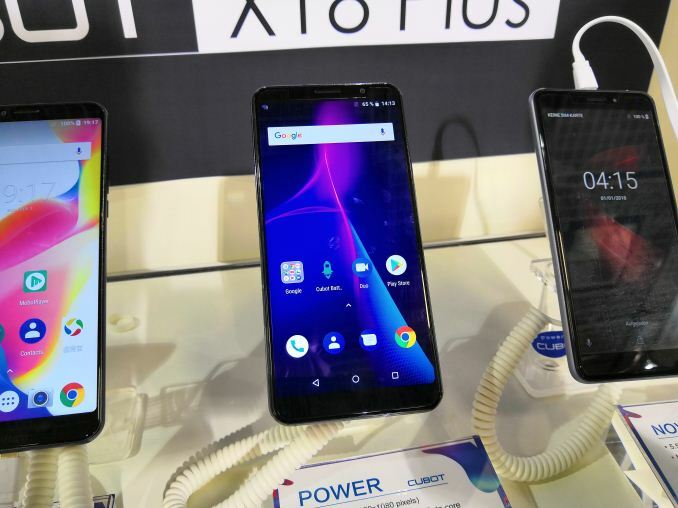 Unfortunately Cubot did not have this device on display, but this is going to be their new flagship: a high-end Mediatek MT6763T processor (8xA53), IP68-rated device with a 6000 mAh battery and simultaneous dual 4G LTE. 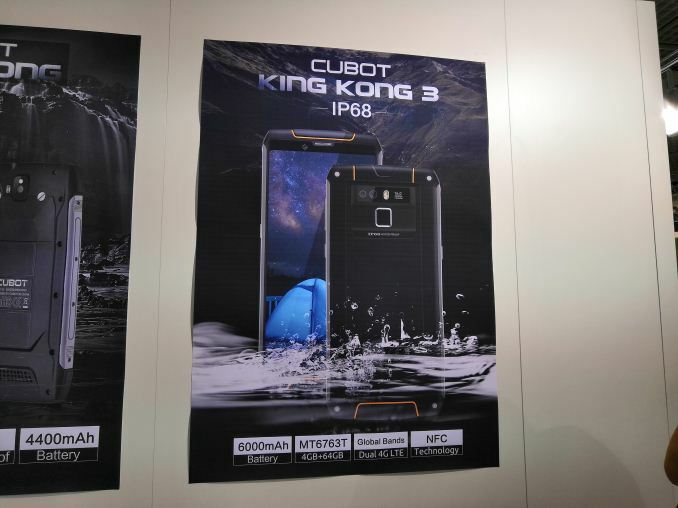 This builds on their first generation King Kong (for some reason there isn’t a King Kong 2), with a ruggedized design focusing on the ability for construction workers to drop the phone and for it still to work, hence the King Kong name. Here are some images of the King Kong (1), as they did have that on display. The King Kong 3 is expected to have a similar design. If we head on over to the Cubot website, you’ll notice that the webpage for the King Kong line is full of standard King Kong imagery – in actual fact, what looks like direct imagery from the King Kong movie from 2005, just flipped left to right. Now the name is a bit odd (I guess it kind of fits with a durable phone) but it was my understanding that someone holds the license for the King Kong brand? 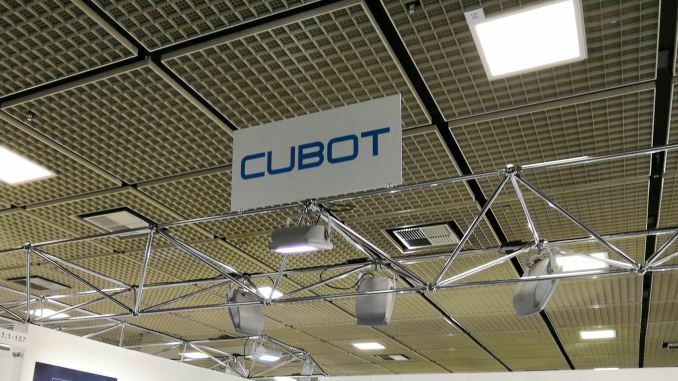 I’d be highly surprised if Cubot was licensing the brand with those rights owners. So here’s a device that’s more up my street. It looks like a high-end smartphone, with a 6-inch full-screen display running at 2160x1080. It uses the same MT6763T SoC as the King Kong 3, but it offers a 6 GB DRAM and 128 GB storage. It also mirrors the KK3 in that it has a 6000 mAh battery, but it's without the rugged design, so it is actually easier to hold and use on a day-to-day basis. 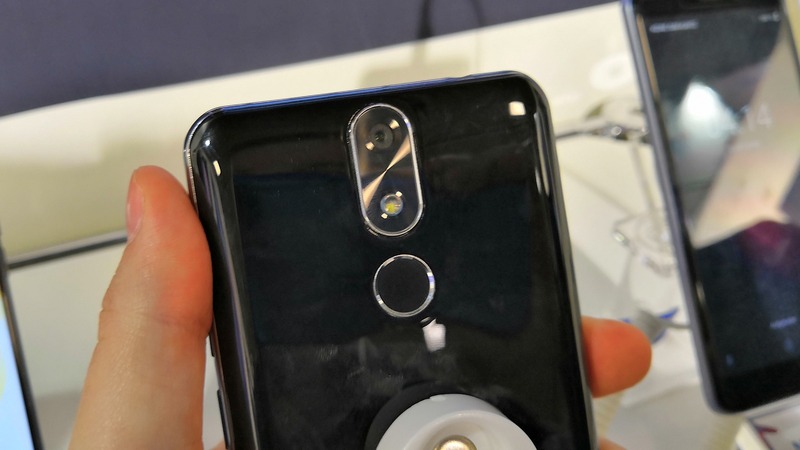 There is a bit of a sneaky design on the rear, as it looks like it has two cameras, but one of those spots is just the LED flash. The rear camera is a 20MP unit, while the front camera is 13MP. The device does support two SIM cards, although only one can be in 4G mode. Meanwhile there is also a microSD card slot that can support another 256 GB of storage. The Power is set to hit the street at around $260, which is considerably more than the H1 I purchased back in the day. At the minute I carry around my LG V30, which handily has wireless charging, and an Honor phone for its AI camera, but both of them struggle to get through a full day of my ‘active’ use without charging. I wonder if I can make do with a high-capacity mid-range phone again without all those bells and whistles? Ah yes I remember the days of my not-so-smart Nokia phone lasting many days without charging even with its relatively small battery. > in actual fact, what looks like direct imagery from the King Kong movie from 2005, just flipped left to right. > I’d be highly surprised if Cubot was licensing the brand with those rights owners. Danish here: i would say that the danish ways is "kong kong"
The english "king kong" is "the king named kong"
Kong = king in danish, but "kong king" would be "the king called king"
but to be fiar. It would make sense to reverse it så that when english people say "the king named kong"
I imported a P2 specifically for the very big battery combined with a power-sipping midrange SOC.